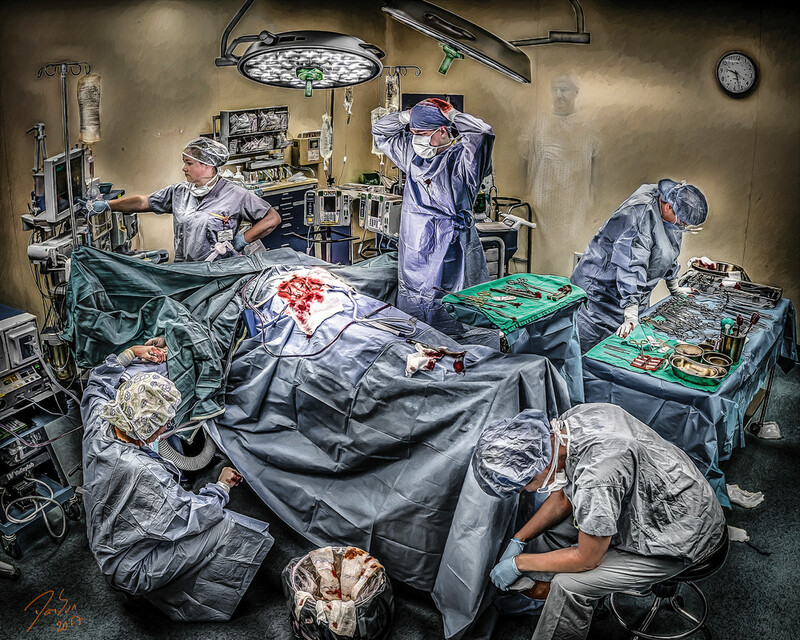 This is the second and last image of the Operating Room set. The outcome isn't always positive and in this case the patient was known by the medical staff trying to save him. Notice the hand contact and the patient's spirit against the wall.